Started in September 2010 RENMX has a wonderful and vibrant community backed by professional staff, dedicated server hardware and custom software. Scroll down to learn more. The most important part of RENMX are the players. They are why the server has a reason to exist. Respectful, funny and imaginative are labels that are easy to attach to our community. It's incredibly inviting to new players and everyone is very humble and kind. Meet a few of our players! Like most servers we have a bussling in-game chat that often leaves people crying tears of laugher and we support this with in-game private messaging, mailing, IRC Chat, Forum and a Steam Group. We also have built the server around player activities, be that creating and sharing easter eggs, building towns, shops, auctioning or redeeming server wide effects cards. As noted above the server started in September 2010. That makes us one of the oldest servers still operating. We've always been known as RENMX and we've always been owned by the same person. 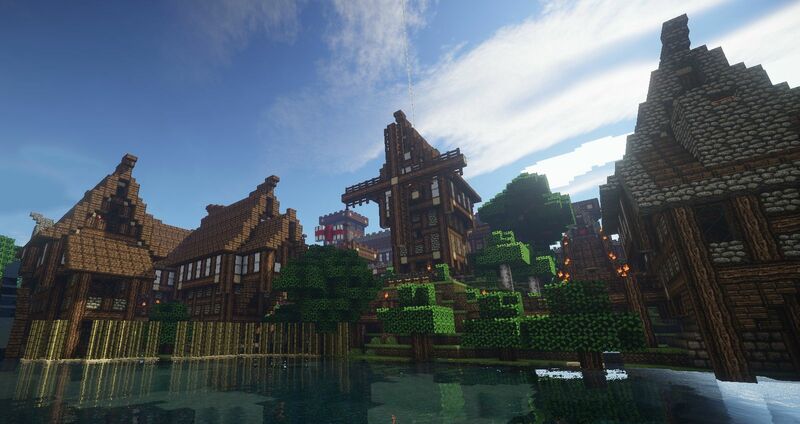 Our main server is Survival that's where 99% of our players play and it's the server we invest most in. It's the game type we feel has the most to offer and to create a great experience we feel it's important the creations you spend days, weeks, months or even years building remain available to you. That's why we've not reset our map since April 2012. You may wonder, how is it that we can maintain the same map for so long, well it's down to careful planning, when we built this map the intention was to keep it forever and we've been able to execute on that vision. Every major version of Minecraft that alters world generation we increase the size of our map, we use a circular radius as depicted above and each ring represents a Major version of Minecraft. This method works brilliantly and allows players to experience the latest blocks and biomes added to the game by Mojang while maintaining access to all your older builds. One of the main differences between us and other servers is the fact we own our server hardware. This means our monthly outgoings are much lower than a rented setup and we can better plan for the future upgrading our hardware as we grow without being limited by what a game host offers. As of November 2017 our hardware consists of two Intel XEON E5-2667v2 Eight Core 3.6-4GHz processors paired with 64GB of ECC RAM and dual Samsung Pro MLC based SSD's for high speed I/O. We also run a physical router powered by pfSense that features an Intel Core i5 4590S Quad-Core i5 CPU paired with 16GB of RAM. Finally our setup is completed by 8TB of RAID6 storage and a 4TB External Hard Drive for server backups and an expansive 21 minute runtime uninterruptable power supply (UPS). One thing we use to differentiate ourselves from other servers is our continued investment in custom software. Not little gimmicks but things that bring a real tangible benefit to you and your usage of our server. Features like our Admin Shop, Auctions and Card System have become server staples. As have our many playable Easter Eggs, Referrals and Voting systems. We have built lasting unique features that enable players to build up their profile on our server and continue to reap benefits for every interaction and minute of gameplay. We hope this page has helped you to learn about our community. If you're interested in playing with us simply point your Minecraft client at play.renmx.com there's no whitelist and everyone is welcome.